To do something the same way every time and expect different results is the definition of crazy; unless you’re working on a computer. We tried all kinds of crazy things like spice cake with walnuts, fresh cherries, coconut, and sweet pickle chunks, all frosted in chocolate icing. We tested our concoctions even before they were cool enough to frost, after all if the experiment went bad the result wouldn’t be worth chocolate icing. Then of course, we each had a nice big second wedge of cake soon after to test the frosting cake mixture. After a short while we’d wonder, “Were we right? Was that cake really so good?” and we’d test it again. I don’t remember a time went we weren’t proud of our creations so we’d celebrate with two nice BIG pieces of cake. By this time the remaining slab on the cake platter looked a little wobbly with fork holes denting each side. Nibbling is never considered eating and doesn’t at all count except that the remaining piece of cake looked bad as well as being too small to cut into four pieces for dinner. So we ate it. My husband John can make even dieing of cancer funny. He’s almost run out of medications to extend his life and the last one had stunning side affects. He’s been giving himself injections in the stomach twice a day and now each sight is a big bruise and they’ve all run together, and because of his swollen spleen he looks like he’s about to ready to give birth. He’s big and he’s solid neon from his breast down past his belt line. He has large bruises elsewhere but to see his right arm is like looking at a confused color changing lizard, from his large finger nail up to his shoulder, front to back, he’s red, black, yellow, and blue. I saw neighbors in Ferguson Missouri walk up to, kindly talk with, and sometimes sternly confront the militant trouble makers who’d come into their community to destroy people, property and steal. I saw several good people surround a law breaker making it impossible for him to cause damage. I heard that many neighbors broke into a local car dealership and took the keys to the new cars and all the spare tires home for the evening in order that these things not be stolen. That’s a lot of trouble they went to for someone else. Then the people brought these items back the next morning. The neighborhood did not prevent all breaking up and stealing but they put their lives in danger to protect their community and I believe they prevented much. I attended George Washington High School in Watts, California in the sixties. The summer of the riots my friends spent ten days under their beds. Their Mom’s shoved meals under their beds to them. I attended a drawing club and two of our members, professional artists for an aircraft company, didn’t come and they stayed home from work for two weeks because their community was completely run but looters. As an artist I’ve assigned myself the job of reflecting what it is to be human. Then for years I’ve quizzed acquaintances as to why they enjoyed certain television programs and movies. I needed to know what it was in those shows that “feeds” the people. At the time I asked, the programs most loved were The Godfather movies, very well made, Cheers and Starsky and Hutch, both mediocre. People recognized the two television programs were not well made but they didn’t care a bit. They loved the shows and envied the fictional characters for having a place where they belonged, a place where they were known and a place where they were valued. I’m blaming John’s inability to communicate on his chemo therapy. 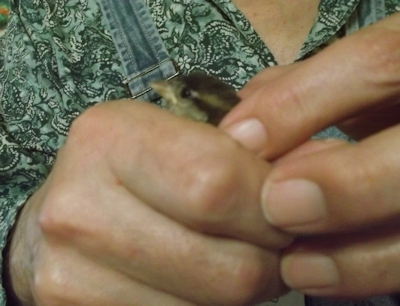 He came in from outside saying,”Can you come out here and see this?” But while he talked he had a tiny bird in his hand that stretched out his neck, looking like Waldo with a beak and bit John. The little guy occasionally reaching out one or other wing like he was offering a hand to shake. I asked variations but I never got a variance in answers as we walked outside and all the while we watched an unblinking light in the sky AGAIN. We’d watched the light on previous nights. 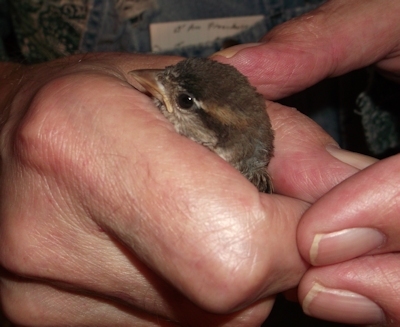 In the house and after a time I learned that John opened the front door in order to get me and the bird flew in. The bird landed on a table and was stunned for a moment which thrilled our cats. This picture is like repentance. Several years ago I decided to save a few poorly drawn pictures as well as good ones to remind me of what I’ve learned. I learned early from stories, movies, and the news that certain people are born with remarkable skills. My interests were in art, dancing, and music and I quickly learned I was traveling in a remarkable direction but a remarkably negative direction from normal in all three. Dancing; I was swayback, my belly hung out, and I had a great case of pigeon toes instead of turn out. Music; I joined a Baptist children’s chior and the preacher’s wife said, “The choir is suddenly very off tune,” she couldn’t get us back on and she couldn’t understand why. I explained it to her afterwards. She didn’t disagree but when I said, “It’s okay, I won’t come back,” she knew my musical offerings to God were more important than her ego in front of the congregation. I got to keep singing. Art; my Mom taught art skills to my Girl Scout troop for years. I could tell I wasn’t catching on and I could see by my mother’s demeanor she agreed. Later I was even fired as a florist. The shop couldn’t sell my creations with their “awful” color combinations and you should have heard the art students laugh in college. I laughed too because again and again after being taught a new concept it was obvious my work was a perfect example of what not to do in all facets of the new art principle. I thought if I wasn’t born with math or spelling skills I was doomed to dumbness. When my teachers insisted I practice I thought they were asking me to CHEAT! After all if an employer asked and could I correctly spell, ‘disappoint’ he would then expect me to spell ‘abject failure’. Those were two words I had not ‘practiced’ 450 times in forth grade.